This was my second time purchasing a vehicle from John’s. My first was for a 2014 Toyota Rav 4 we purchased two years ago. The second time was this month, Mar 2019, to purchase a used vehicle for my newly licensed son. Both experiences were superb. We had Cesar as our salesman both times. He is a great person was exceptionally courteous and patient as me and my son test drove several vehicles. After deciding on a vehicle the actual purchase was effortless and the rest of the staff we worked with were excellent. I would highly recommend Johns Great Cars and will definitely return in the future. Johns Great Cars is a pleasure to work with. "Lots and lots of awesome cars"
Great people running this place!! They got our daughter in a 2017 KIA, so easy and quick!! Lots and lots of awesome cars!!! I have to say this was the easiest car buying process I've ever experienced!!! Everyone was super friendly. Dan was great helping me with the finance before I even got into the office and Uncle Jim was so helpful once I got there from the test drive to helping me with switching over the insurance to sitting in the car after all was final and showing me how to use everything in the car! I will ABSOLUTELY buy a car here again!!! "They worked with me every step of the way"
Harry was absolutely great!!! They understood my need for something simplistic and worked with me to find something I would be happy with. The family atmosphere and sibling rivalry was amazing! They couldn’t get me a car the day I went in, but worked with me every step of the way over a couple of days to get me the car I needed. I would definitely go back!!! "This place is a gem." I have never had a car shopping experience like I had today at John’s. Everyone we came in contact with was so nice and they made the shopping experience so wonderful. Cesar went above and beyond to answer all of my questions and was very patient with us. They offered us a very good deal on the car we wanted and I didn’t even have to haggle for a great price! Highly, highly recommend! I will definitely be back!!! This place is a gem!! "They had the best deals." John's Great Cars had a large selection of vehicles that matched my needs. I used the CarGurus app to search and the vehicles listed were exactly what inventory they had. They had the best deals. Jim was my salesmen. He was polite and knowledgeable and helped me with every step. I would recommend John's Great Cars to anyone in a heartbeat. "Just did a trade in to get another from them." Just purchased our second vehicle from this family owned & operated dealership. They are gracious and customer focused. "Just wonderful. Low key. No hassles. This is the place"
"They stand by their work and word." 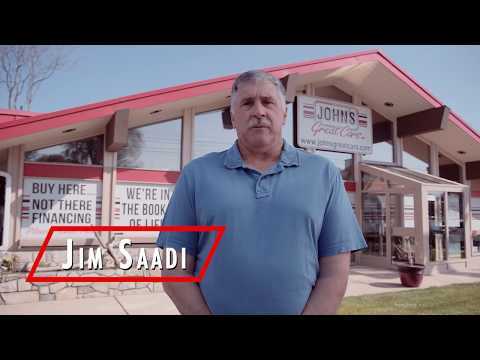 John’s great service center is a trustworthy repair facility. After seeing what all of John’s cars go through just to sit on the lot, I would recommend them to anyone if they have a vehicle you like. They stand by their work and word. "We had an amazing experience." Need a car? 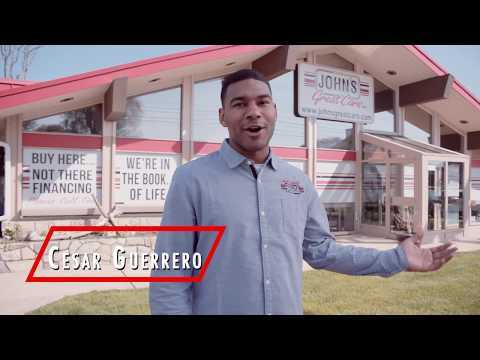 John’s great cars is the place to go! The staffs kindness, understanding, and cooperation is absolutely phenomenal. Shout out to Jim for hooking me up with a reliable car. I recommend everyone to ask for his help; he was so wonderful to my grandparents and I. Provided information quick and straight to the point and made sure we left with no questions. He even paid for our lunch. I’m glad I chose to go to Johns Great Cars! Jim is absolutely one of the kindest people I've ever met. He answered all of my questions, was efficient, friendly, and just generally a wonderful salesman. The rest of the staff was very kind and was constantly working, No doubt I'll be coming back years from now for my next car! "Made my car purchase a pleasure." Everyone I worked with was awesome. Made my new car purchase a pleasure. They worked with me to make sure I got exactly what I wanted Awesome job to Harry, Joe, and Dan. Would highly recommend to anyone to buy a new vehicle. Will definitely keep them in mind for future purchases.! !